As Chuck Peal lay in a Waterbury, Conn., emergency room one Sunday in early September, doctors furiously tried to make sense of his symptoms. Mr. Peal, 61, appeared to be dying, and they were not sure why. He slipped in and out of consciousness, his blood pressure plummeted, his potassium levels soared and his blood sugar spiked to 10 times the normal level. A doctor suspected a heart attack, but uncertainty left him urgently researching the situation on his phone. This was not a heart attack. Mr. Peal’s body was attacking itself, a severe reaction by his immune system that was a side effect of a seemingly miraculous cancer treatment aimed at saving his life. In the seven weeks prior, doctors at Yale had combated Mr. Peal’s melanoma with two of the most promising drugs in cancer treatment today. These medicines work by stimulating the immune system to attack cancer as ferociously as it does other threats, like viruses and bacteria. These so-called immunotherapy drugs have been hailed as a breakthrough in cancer treatment, attracting billions of research dollars and offering new hope to patients out of options. But as their use grows, doctors are finding that they pose serious risks that stem from the very thing that makes them effective. An unleashed immune system can attack healthy, vital organs: notably the bowel, the liver and the lungs, but also the kidneys, the adrenal and pituitary glands, the pancreas and, in rare cases, the heart. 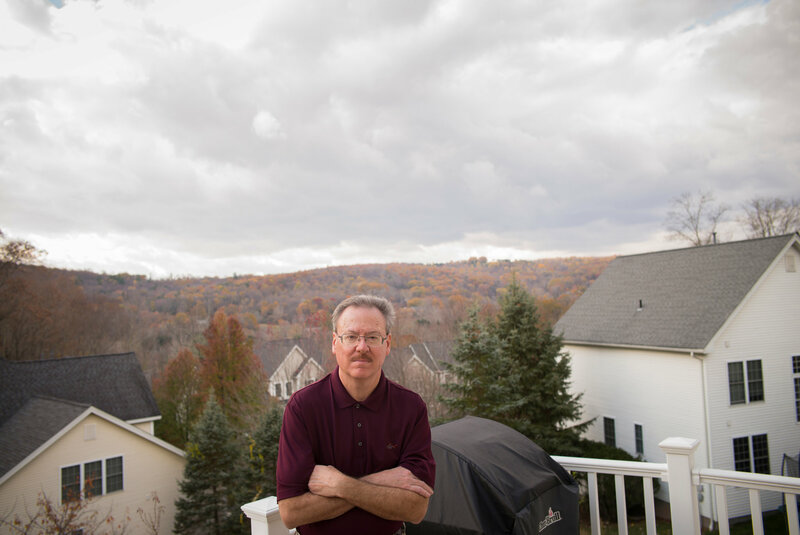 Doctors at Yale believe immunotherapy is causing a new type of acute-onset diabetes, with at least 17 cases there so far, Mr. Peal’s among them. In cancer clinics around the world, and in drug trials, myriad other side effects are showing up. Studies are finding that severe reactions occur nearly 20 percent of the time with certain drugs, and in more than half of patients when some drugs are used in combination. Another recent paper [NCBI] found that 30 percent of patients experienced “interesting*, rare or unexpected side effects,” with a quarter of the reactions described as severe, life-threatening or requiring hospitalization. Some patients have died, including five in recent months in clinical trials of a new immunotherapy drug being tested by Juno Therapeutics Inc. The upshot, oncologists and immunologists say, is that the medical field must be more vigilant as these drugs soar in popularity. And they say more research is needed into who is likely to have reactions and how to treat them. “We are playing with fire,” said Dr. John Timmerman, an oncologist and immunotherapy researcher at the University of California, Los Angeles, who recently lost a patient to side effects. The woman’s immunotherapy drugs had successfully “melted away” her cancer, he said, but some weeks later, she got cold and flulike symptoms and died in the emergency room from an inflammatory response that Dr. Timmerman described as “a mass riot, an uprising” of her immune system. Despite the warnings, physicians like Dr. Timmerman remain hugely supportive of drugs that are saving the lives of people who would otherwise die. Far better to cope with diabetes, hepatitis or arthritis, the thinking goes, than to die. Most reactions are not nearly so bad and are treatable. The rub, doctors and researchers say, is that the medical system — from front-line nurses to oncologists to emergency rooms — is too often caught off guard. This is happening for a number of reasons: The drugs are new, so many side effects just have not been seen. Symptoms appear at random, sometimes months after treatment, and can initially seem innocuous. Finally, oncologists are now trying to treat patients with a combination of two or more immunotherapy drugs, hoping for more effective treatment but sometimes getting amplified risks. In the meantime, these drugs are moving from academic centers into cancer clinics across the country, where oncologists in smaller cities most likely have less experience with the side effects. And with lives to be saved and billions of dollars to be made — $250,000 or more is the list price for a year of some regimens — not enough research has been done into the risks of the new therapies, said William Murphy, a professor of dermatology at the University of California, Davis, who reviews immunotherapy-related grants for the government. 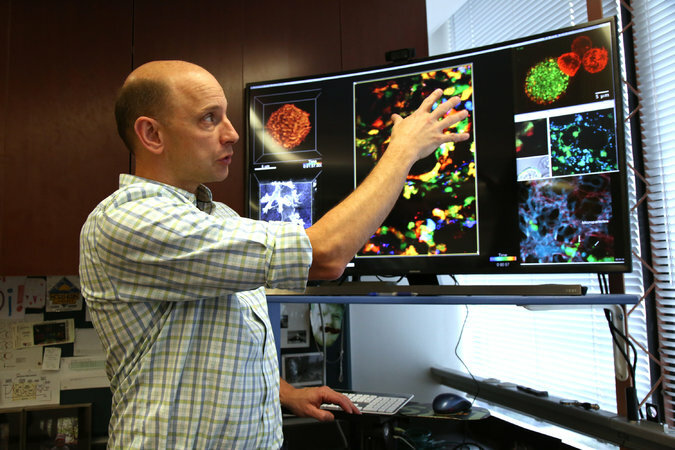 Caught in the middle are patients like Mr. Peal, whose stories show the delicacy of tinkering with the immune system. It may hold the keys to curing cancer if it can be at once stoked and tamed. Mr. Peal, bespectacled and lean, was dealing with melanoma that had spread to his lungs in June 2015 when he saw a Yale oncologist, Dr. Harriet Kluger. In the past, a patient like him would have been given little chance. “We’d sit the patient down and say, ‘I’m really sorry, the median life expectancy is nine months. Get your affairs in order,’” said Dr. Kluger, who runs immunotherapy clinical trials focusing on skin and kidney cancer. Now she could offer Mr. Peal hope. Consider: One study [New England Journal of Medicine] co-authored by Dr. Kluger found positive responses in more than 40 percent of advanced melanoma patients when they used a combination of two major immunotherapy drugs, nivolumab and ipilimumab. Other research, however, shows that the promise comes with real risks. A 2015 paper in The New England Journal of Medicine showed that use of these drugs carried a risk of side effects that were severe, required hospitalization or were life-threatening 54 percent of the time. “It’s at least that high, at least,” Dr. Kluger said. But, she noted, most of the side effects are manageable through immune suppression, such as with steroids. The effectiveness of immunotherapy drugs and their side effects are intimately bound by the same biological mechanisms. Called checkpoint inhibitors, the drugs work by essentially reversing a trick that cancer plays on the immune system: The cancer cells send nefarious signals to immune-system cells that cause them to stand down. Cancer is turning on the immune system’s brake. There is a valuable reason the brake exists: It can shut down the body’s powerful defenders so that they do not inadvertently attack the body itself. Cancer is taking advantage of this key survival mechanism. When an immunotherapy drug turns the brake off, the immune system can sometimes shrink tumors in mere days. Mr. Peal, an engineering technician who tests the performance of helicopter parts, started taking nivolumab and ipilimumab on July 8. Dr. Kluger told him he might feel drowsy or nauseated, or he could get a rash. A rash indeed struck with a vengeance on Aug. 30: red welts from his knees to his waist. On Sept. 1, a Thursday, he visited Dr. Kluger’s office, where he was given a steroid. The next day, he had a fever, nausea and was “dying of thirst — like beyond being in the desert,” he said. He threw up everything. His girlfriend, Jo-ann Keating, called Dr. Kluger’s office, and an on-call doctor prescribed an antinausea drug. Later, Ms. Keating called back to say it was not working, and he was prescribed a second antinausea drug. By Sunday morning, Mr. Peal, unable to move, took an ambulance to the emergency room. In his wallet, he kept an information card published by Bristol-Myers Squibb. It lists dozens of risks, including that the therapy “can cause serious side effects in many parts of your body, which can lead to death.” Mr. Peal’s family told the emergency room doctor about the treatment, Ms. Keating recalled. But even Dr. Kluger’s experienced team, which answered the distressed phone calls that weekend, was caught off guard and did not react immediately to the symptoms. Ultimately, Mr. Peal spent 24 days in the hospital, where trouble mounted. First his pancreas failed, then his bowels inflamed and his kidneys became dysfunctional, and “to top it off, he has a fever of 103 for which we can’t find a source,” Dr. Kluger said in an interview during the crisis. She was trying to figure it out and had emailed other experts around the country to see if they had ever had a patient with this combination of acute immune reactions. No one had seen it before. The pancreas problem was particularly noteworthy. 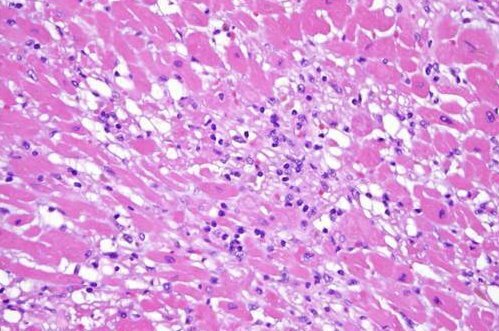 Mr. Peal’s is among a growing number of such cases that have led a Yale endocrinologist, Dr. Kevan Herold, an authority on autoimmunity, to conclude that he is seeing a new form of Type 1 diabetes. Typically, the peak age of onset of Type 1 diabetes is 6 to 12, and it involves the immune system’s destroying, bit by bit, the cells in the pancreas that make the insulin needed to metabolize sugar into energy. Another case at Yale involved Colleen Platt, 65, a real estate agent from Torrington, Conn., who was being treated by Dr. Kluger for late-stage kidney cancer. Ms. Platt opted for a clinical trial involving two immunotherapy drugs, atezolizumab and a second drug that Dr. Kluger declined to name because the trial is continuing. The tests were right. Like Mr. Peal, Ms. Platt had gone into diabetic ketoacidosis, a condition in which her body, desperate to compensate for energy it was missing when her pancreas shut down, created a flux of acid that could keep her functioning in the short term, at the risk of gravely harming organs throughout her body. Outside the emergency room, while a chaplain visited Ms. Platt to comfort her, Dr. Kluger called the drug company to report the extraordinary reaction. Today, like Mr. Peal, Ms. Platt takes multiple insulin shots each day, and still her sugar level fluctuates wildly. On the other hand, immunotherapy has largely beaten her cancer. In fact, after consulting with other doctors and one of the drug companies, Dr. Kluger recommended Ms. Platt continue with treatment, which she did. Evidence of these challenges is decades old. In the mid-1990s, Matthew Krummel, a young immunology graduate student known as Max, worked at a lab at the University of California, Berkeley, that would become one of the most influential in the development of immunotherapy. The lab was run by Dr. James Allison, who, along with Dr. Krummel, published a seminal paper in 1995 showing that they could eliminate tumors in mice by turning off a brake on the immune system. But the lab got less attention for a related experiment: The skin of some mice treated this way turned from black to white. They had lost their pigmentation, a result of the immune system’s attacking the cells that make melanin. The startling change was not life-threatening but indicated the power of tinkering with the immune system. This discovery was novel but not particularly celebrated compared with the promise of curing cancer, Dr. Krummel recalled. The skin study “was kind of a footnote,” he said. Then came the TeGenero tragedy in 2006. TeGenero Immuno Therapeutics designed a drug to stimulate the immune system to fight leukemia. At Northwick Park Hospital in London, a Phase 1 trial took place, with six healthy patients getting the drug. Within hours, all suffered multiorgan failure. The devastating results tempered the enthusiasm and suggested that more work needed to be done in advance of human trials. But enthusiasm came roaring back. Part of the reason was that, ultimately, the autoimmune reactions were seen not only as an acceptable cost of these drugs but as evidence they were working. Chemotherapy, too, has side effects, but Dr. Kluger prefers immunotherapy’s trade-offs because the drugs may offer enduring control of cancer without the need for continued treatment. So she is joining others looking to address largely unanswered questions: Who is likely to be at risk, can the side effects be recognized before turning dangerous, and how should they be treated? In June, Dr. Kluger and Dr. Herold submitted a grant proposal to the National Institutes of Health to study whether they could predict which patients would develop these symptoms. They based the proposal on a hypothesis that some patients have a biology or a genetic background that might make them more likely to have side effects. The proposal has not yet been funded. Thus far, only a modicum of work has been done on these questions. Several studies found that older mice were more susceptible than younger mice to autoimmune reactions; another study, also in mice, found that obese subjects were more likely to have adverse effects. “Old or fat mice were literally dead within hours,” said Dr. Murphy, the professor at Davis who believes too little is being done. He is well positioned to see the trends: In the past year, he sat on eight government grant review committees focused on immunotherapy, and he said only three out of 500 research proposals he reviewed focused on the toxicity side of immunotherapy. Part of the problem, he said, is that the drug companies that are driving research prefer working with labs that support trials’ moving quickly. As a result, Dr. Murphy said, human trials are advancing faster than the background research can be done. Hoping to push access to lifesaving drugs, the Food and Drug Administration has a “breakthrough therapy designation” that allows faster approval. Since 2012, the agency has granted breakthrough designation about 110 times, almost a quarter of them for immunotherapy. “When people talk about moonshots, they’re talking about curing cancer, but it has to look at the whole picture,” Dr. Murphy said. With so much momentum pushing for a cure, the emphasis from researchers and front-line oncologists is on more vigilance about the side effects. Dr. Timmerman, from U.C.L.A., said he wished he had seen the signs of trouble in his patient, who survived cancer only to die in the emergency room after exhibiting seemingly modest flulike symptoms. “If we had only known the power we had unleashed that was causing such a toll on her organ system, we might have saved her,” he said. *If a doctor ever tells you your case is “interesting”, you are in a lot of trouble.